Sign in to access your account, favourites and previous orders. 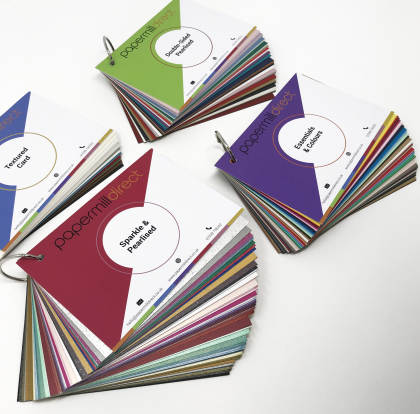 Our swatch books contain 214 samples of our wonderful card. 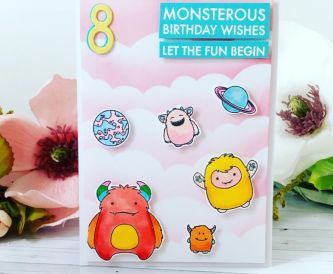 They are 112mm x 160mm and the four books include: Essentials and Colours, Textured Card, Double-sided Pearlised Card and Sparkle and Pearlised Card. Hello, Sylvia here with a selection of die cut tri-fold Christmas cards made with papermilldirectDouble Sided Pearlescent 300gsm card. I bought a Sizzix tri-fold card die last year, cut it out once using a thin card and wasn't happy with the result, it was a little floppy and didn't hold up well. This year I was determined to use the die and tried it with the 300gsm Double Sided Pearlescent card. This is a nice firm card and being double sided was ideal as both sides of the card are on show. 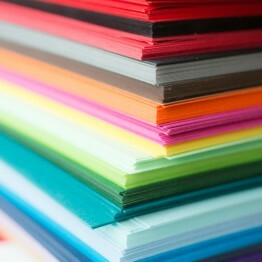 The card cut out beautifully with the thin die and when folded was firm and held the shape well. The cards, snowflakes and wording embellishments were cut using Xmas Red, Xmas Green, Maya Blue, Harvest and Ice SilverIce Silver Double Sided Pearlescent card. There was a nice square of card cut out of the front of the card which I used on the inside of the red card. I stamped and heat embossed it with sparkly embossing powder before attaching it to the inside back of the card. I left the other cards plain. 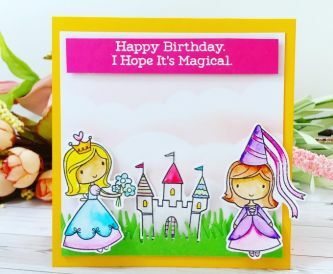 The card below was cut from Blu Sirio Colour Card, another 300gsm card, and the embellishments were cut from the Iced Silver Double sided Pearlescent card. The inside back of this card was stamped with a large background stamp using distress oxide inks. I added a coloured gem to the center of each snowflake to finish off the cards. 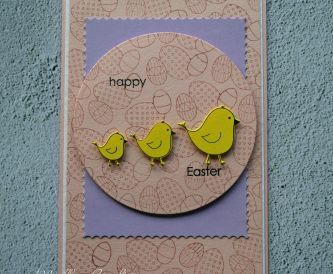 Bright and Fun Easter Card! Get 10% off when you Sign Up! Sign up to our newsletter! Find out about the latest offers and competitions before everyone else! We will email you a 10% discount code once you confirm your subscription! 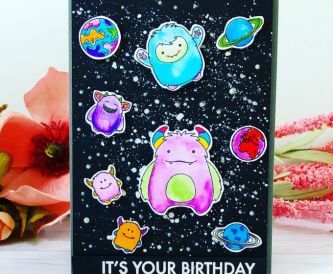 We have amazing savings on great quality card - a new offer every week All the card is made in the United Kingdom at our 175 year old Paper Mill! 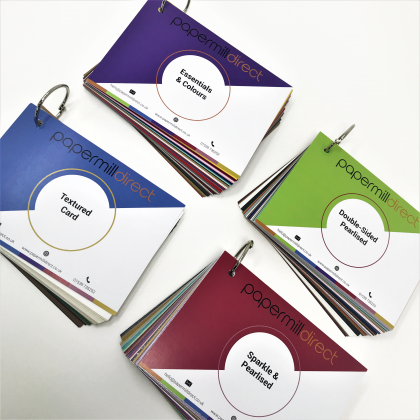 Meet the team of designers who make all the gorgeous sample cards for us. Error Message: The Instagram API did not return a response. 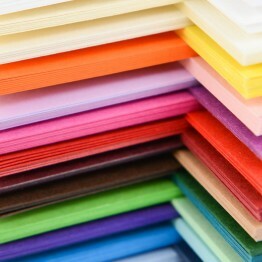 Visit papermilldirect's profile on Pinterest. © Copyright 2018 - papermilldirect. All rights reserved.